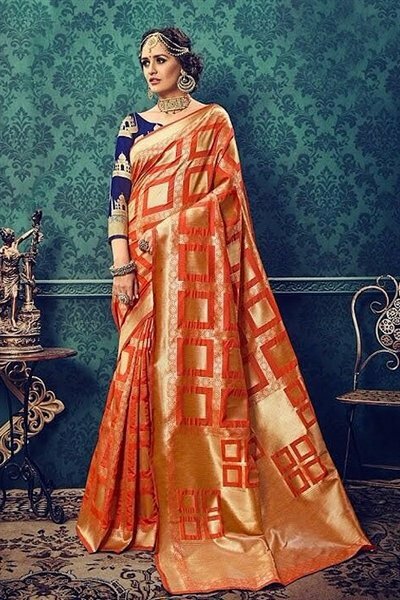 Brown Designer Saree With Navy Blue Floral Embroidered..
Saree is the most flattering Indian outfit that accentuates feminine curves in the most graceful manner. Saree has always been the most favourite attire of Indian women since ages. 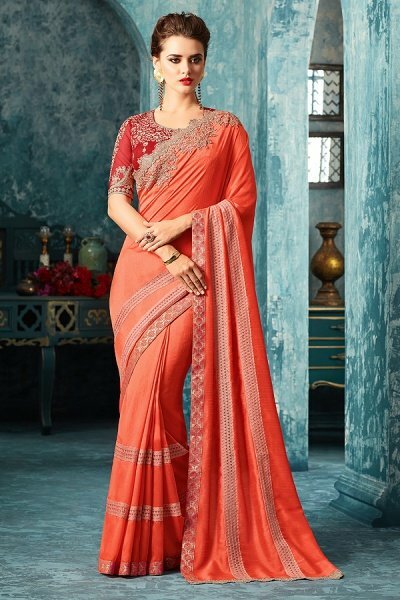 To get ready for any special occasion all you have to do is just drape a designer saree and you can glam up your look instantly. The seamless and sensual garment is available in fabrics ranging from silk, georgette, chiffon, net, cotton, satin and velvet. 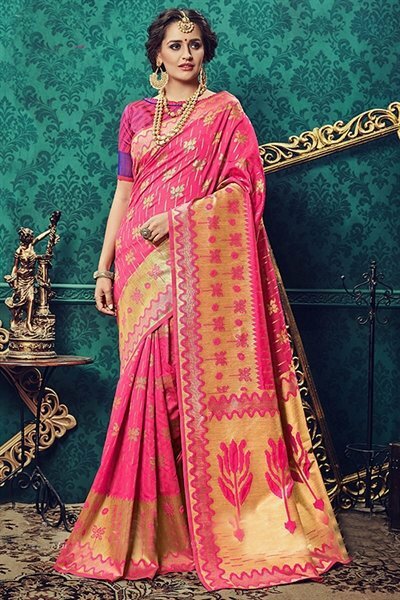 You would fall in love with our handpicked collection of designer sarees. Our exquisite range of glamorous Indian sarees online resonate ethnic vibes and make a woman look no less than a diva. Rich embroidery, intricate borders, sequins, mirror or zari work embellish our charming sarees. 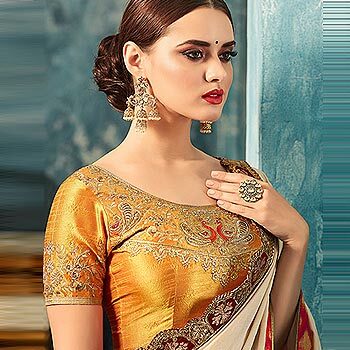 So, shop and slay in our wow-worthy designer Indian sarees! You can adorn these snazzy numbers to any party or family function. 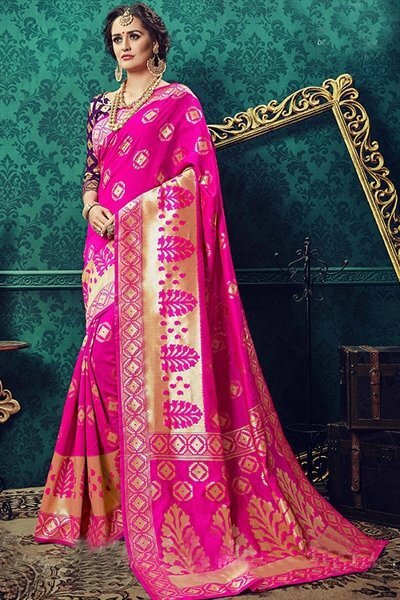 Get ready to spruce up your look with designer sarees from Like A Diva and add to your gorgeousness!